Robert (Bob) Gerald McKamey, 83, of East Brainerd, passed away on Tuesday, January 8, 2019, in a local hospital. A longtime Chattanooga businessman and philanthropist Bob was the first Toyota dealership in the 14 Mid-America states to sell 100 Toyotas in one month and the first Toyota dealer to sell the U.S. Government a fleet of 100 Toyota trucks. During Bob’s business career he was honored to sit with 4 U.S. Presidents – Jimmy Carter. Ronald Reagan, George H. Bush and George W. Bush. He was 1 of 10 businessman chosen by President Ronald Reagan to negotiate with Japan for free trade. In 1995 he represented Toyota and AIADA in negotiating between Japan’s government for President Clinton’s administration. Bob served on the Board for the Cincinnati Regional Dealer Advisory Board for 26 years and served as Chairman for nine two-year terms. Bob served as a Toyota Director on the Board of AIADA longer than any dealer in its history. He was very active on the Toyota Dealer Council where he had served for four terms as the national Chairman. He held memberships with both the Chattanooga Automobile Dealers Association and the Tennessee Automobile Dealers Association. He was one of the founding directors of the Americans for Free International Trade Political Action Group in Washington, D.C.
Bob’s most significant accomplishment is his role in being the major dealer voice in developing and implementing the Toyota Finance Company. This organization is a major asset today for all Toyota and Lexus dealers. He was known for his philanthropy – an early benefactor of McKamey Animal Center- and for his propensity to give people second chances. 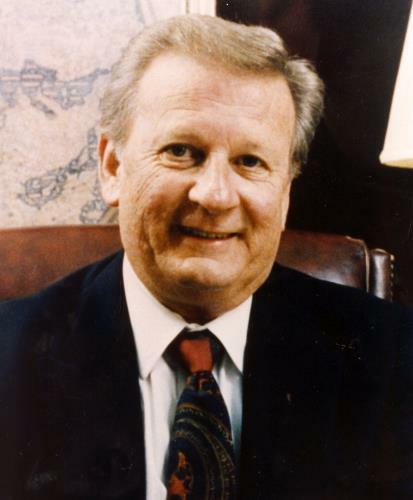 Bob was a member of Graceworks Church and was the largest private donor to the March of Dimes in Tennessee. He was passionate in helping the American Cancer society and Toys for Tots where he contributed hundreds of bikes, known as Bob’s Bikes, to under privileged children each Christmas. Bob is survived by his son, Jeff (Julie) McKamey of Ooltewah and daughter, Karla McKamey of Signal Mountain; Jean McKamey, the mother of Bob’s children; three grandchildren, Hannah, Allie and Leigh Anne McKamey. former wife, Lynn McKamey. Funeral services will be held at 1 p.m. on Saturday, Jan. 12, at Graceworks Church, 6445 Lee Highway with Dr. Bill Owens and Reverend Wayne Peters officiating. The eulogy will be delivered by Roy Exum. Burial will follow at Hamilton Memorial Gardens with Donnie Hutchinson, Mark Schmissrauter, Ed Emerson, Jim Hammond, Mike Yarbrough and Ron Littlefield serving as pallbearers. Memorial contributions may be made to the McKamey Animal Center, 4500 North Access Rd., Chattanooga, Tn. 37416. You may visit www.heritagechattanooga.com to share condolences to Bob’s family and view his memorial tribute. The family will receive friends on Friday, Jan. 11, from 4-8 p.m. and Saturday, from 11 a.m. until 12:30 p.m. at Heritage Funeral Home, East Brainerd Road.